A new film released in Germany this month highlights one of the great "what ifs" of history. It's the story of Georg Elser - a 36-year-old carpenter from a small town in southern Germany - who came very close to assassinating Adolf Hitler in the early days of World War Two. On 8 November 1939, Hitler was making his annual speech at a Munich beer hall. The event commemorated early Nazi struggles in the 1920s. This time Hitler used it to mock his international enemies, and boast about Germany's successful start to the war. But what neither Hitler nor the Nazi top brass and loyal audience realised was that, a few feet away from where the Fuehrer was standing, a bomb was about to go off . Its ticking timers carefully muffled in cork casing, it had been assembled and planted secretly over many weeks by Georg Elser. He had started making his plans the previous year, after deciding that, under Hitler, "war was unavoidable". Hitler began this speech at the same time every year, but on this occasion, eager to return to Berlin and his military planners, the Fuehrer left early. Thirteen minutes later, the bomb exploded, causing eight deaths and massive damage. The ceiling collapsed just above where Hitler had been standing. It's those crucial 13 minutes that provide the title for the new film about Elser, directed by Oliver Hirschbiegel, whose earlier credits include Downfall, in 2004, and Diana in 2013. Hitler had survived - just - to lead Germany into five more years of war and genocide against Europe's Jews. The Nazi newspaper, the Voelkischer Beobachter, called the event "the miraculous salvation of the Fuehrer". The Nazi regime would doubtless have continued without Hitler, and the other Nazi leaders Elser had hoped to kill, at least in the short term. But historians believe Hitler's death in 1939 could have shortened the war, and possibly prevented much of the suffering of the Holocaust. So how exactly had Elser carried out his plot - and why? The Gestapo tried to find this out when he was captured, shortly after the bomb went off, trying to cross the border into Switzerland with incriminating material in his pockets. The transcript of his prolonged interrogation was discovered in the 1960s, and shows how he demonstrated to astonished Gestapo officials what he had done. He had begun experimenting with explosives while working for an armaments firm near his home town in Swabia. Then he began to work at the beer hall, the Buergerbraeuhaus, in Munich, where Hitler made his annual November speech. This is where his carpentry and joinery skills became invaluable. For more than 30 nights he arrived late in the hall for a meal, then hid himself as it closed, and set to work overnight when everyone had left, hollowing out the pillar by the stage to make space for a bomb. It was all meticulously planned and concealed. Elser told the Gestapo that, "as the smallest noise rang loudly in the empty hall at night", he carried out his loudest work timing it to coincide with "every 10 minutes (when) the hall toilets flushed automatically". There was a constant risk of discovery. "Every sound had to be muffled, every speck of sawdust collected and disposed of," writes the historian Roger Moorhouse, in his book Killing Hitler. The Gestapo assumed he must have been linked to a larger group, such as the British secret service, and so did many others. For many decades, it was assumed that Elser must have been part of a larger plot. But in fact, as Hitler's biographer, Ian Kershaw puts it, "the truth was less elaborate - but all the more stunning". Elser was "a single person, an ordinary German, a man from the working class, acting without the help or knowledge of anyone else". Despite a brief association with a communist group, he was not overtly political. Rather, as Moorhouse puts it, he had a "profound sense of justice" - and he was concerned about the problems faced by ordinary workers under the Third Reich. When the Nazis came to power, he began - as the new film depicts - to make small gestures of defiance, such as refusing to listen deferentially to broadcast speeches by Hitler. By the late 1930s, following the Nazi annexations of Austria and part of Czechoslovakia, he was also concerned about Hitler's drive towards war. He knew his bomb might kill many people. "I wanted through my act," he said, "to prevent even greater bloodshed." Elser remained a mysterious and controversial figure for decades. 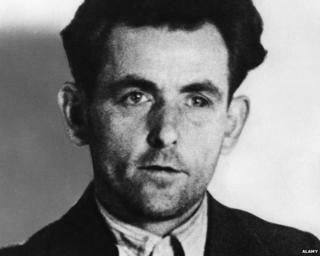 Instead of being killed immediately, he was kept alive in a concentration camp during the war and only finally executed in 1945. This prompted speculation about who he might have been working for, and whether he might in fact have been a Nazi stooge, his failed plot designed to boost Hitler's popularity. His family was ostracised in his home town for decades - part of a guilt-ridden German response to the whole question of anti-Nazi resistance. "All the people who did something against the Nazis were seen as traitors - not only in Nazi Germany but also in post-war Germany," says Johannes Tuchel, Elser's co-biographer and director of the German Resistance Memorial Center in Berlin. If one man is able to make an assassination attempt against Hitler - not the head of the armed forces, not (someone from) the political elite - what did it say to Germany society? " "They knew they had to do something against Hitler, but they didn't." One assassination attempt was well known in post-war decades. The 1944 bomb planted at Hitler's military headquarters by Claus von Stauffenberg, part of a resistance group among the military and political elite. But resistance at lower levels - for example by communists and trade unionists - was barely acknowledged. Last year, finally, German Chancellor Angela Merkel acknowledged Elser as a hero of anti-Nazi resistance, describing him as "one who struggled on his own… to try to prevent the war". Johannes Tuchel hopes the new film will make Elser and his story much better known, though he says he doesn't want him to become "a big national hero". "I want him as a man who, in a dark time for Germany, showed us that not all Germans were Nazis," he says. Much recent research into Nazism has focused on the many "ordinary Germans" who became perpetrators of the most terrible crimes. Elser's extraordinary story reminds us that there were some "ordinary Germans" who behaved in a very different way. The Wolfsschanze, or Wolf's Lair, was Hitler's secret headquarters on the Eastern Front. Stauffenberg was attending the daily briefing between the Fuehrer and Germany's high command - but in his briefcase, he carried a bomb.